You should prepare thoroughly and carefully for your interview. Failure to be fully prepared for your interview at the U.S. Embassy or Consulate can result in delay or denial of the visa. It is important that you follow any additional instructions provided by the Embassy or Consulate on the Interview Preparation – Embassy Guidelines webpage. Note: On the US Embassy/Consulate Specific Information List, select the Embassy/Consulate where you will be interviewed. 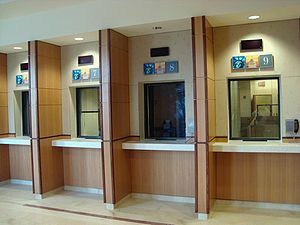 Unlike case numbers for all other immigrant visa categories, DV case numbers do not contain three-letter codes for the Embassy/Consulate where your case will be processed. Selectee notification letter which you received from KCC. The applicant and each family member who will accompany the applicant to the United States will need to submit original documents or certified copies of the documents listed in section Step 3 from an appropriate office (authority, or issuing entity) in your country. Generally available, particularly for events occurring after 1970. Registration of births and deaths is compulsory in Lagos. The National Population Commission issues birth certificates for births after 1992. For Lagos records, certified copies of records for dates ending with 1979 can be obtained at the Lagos State Ministry of Health, Old Secretariat, Ikeja, Lagos. For records after 1979, contact the local government that issued the original certificate directly. Most births and deaths outside of Lagos are also registered at the time of the event. Applicants can obtain certified true copies of certificates directly from the local government. Alternatively, acceptable identity/parentage documents are infant baptismal certificates and hospital or maternity clinic records of birth. Home births are rare in Nigeria and medical records are available in most cases. Affidavits may be acceptable as substitutes for documents for those born outside Lagos prior to 1960 or born in the eastern part of Nigeria in the 1960’s at the time of the Biafran War, when presented in combination with convincing secondary evidence of relationship. Available. Non-Nigerians may not adopt children in Nigeria. True adoptions in Nigeria are very rare. Adoption in Nigeria must be initiated from the Ministry of Social Services, not directly with the court by the adoptive parents. Any adoption not done under the auspices of the Ministry of Social Services is not valid. Nigerians who adopted children under the Eastern Adoption Law of 1965 should apply directly to the court, which granted the adoption *in order to obtain certificates. Note: Documents for the former Cameroonian Trust Territories are not available in Nigeria and should be sought through the Cameroonian Government. Available from local government bodies if the couple performed civil marriage at the Marriage Registry. Traditional marriages may also be recorded with the local government and a certificate of marriage issued. Places of worship that are registered with the Nigerian Government may also issue marriage certificates for ceremonies performed there. It is obligatory that every registrar and religious minister furnish such documents to the Lagos Marriage Registry, but some fail to do so. Records are generally available through the local government where the marriage took place. The Marriage Registry in Lagos has marriage records dating back to 1802. They are filed by year and place of marriage and can be obtained by writing to the Marriage Registry, 19 Kingsway Road, Ikoyi, Lagos. Since both parties to the marriage technically must be physically present at the same location with witnesses to sign certain marriage documents, proxy marriages have ceased to be valid but still occur. Civil Divorce: The High Court of the state in which the divorce is pronounced is the only court that has jurisdiction over civil divorces in Nigeria. This is without prejudice to the right of appeal to the Court of Appeal where a party is dissatisfied with the judgment of the High Court. The proper documentation for the dissolution of a civil marriage is a “Decree Absolute”, or a “Certificate of Decree Nisi Having Become Absolute” or “Enrolment of Order” also called “Enrolment Order” both of which contain the judgment ordering the final divorce or divorce absolute. Customary Divorce: Marriage under native law and custom may be dissolved by a Magistrate Court or a Customary Court. It may also be dissolved in accordance with the Native Law and Custom of the place where the marriage was contracted without recourse to any Court, be it Customary or Magistrate Court. The proper documentation for customary divorce is a Court Judgment or Order granting the divorce or where recourse was not had to the Court, an affidavit deposing to the fact of the divorce. Islamic Divorce: Islamic courts are the only courts with jurisdiction in dissolution of Islamic marriages. Divorce by traditional rulers, affidavits and statutory declarations of divorce have standing under Nigerian law. Available, for those in-country. The Nigerian Police Force no longer accepts requests made through the American Embassy. Applicants need to contact the Deputy Inspector General, Criminal Investigation Department, Nigeria Police Force, Alagbon Close, Ikoyi, Lagos, Nigeria. 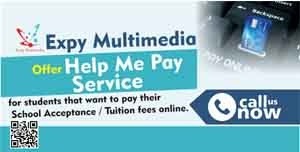 Fee should be in the form of a bank draft payable to the Deputy Inspector General of Police, Fingerprint Section, Nigeria Police Force. The applicant should bring information regarding their full name, place and date of birth, nationality, passport number, date and place of issuance (for current passport or passport used during applicant’s stay in Nigeria), exact periods of residence in Nigeria and addresses where applicant resided. Each applicant 16 years of age and over must also provide (1) a copy of the first three data pages of his or her passport, (20) the pages containing Nigerian visas, entry and departure stamps and (3) a complete set of fingerprints taken by the police in the district where the applicant resides. Applicants outside the country are advised that mailed requests for police certificates are not an effective method of obtaining the records. It is recommended that applicants outside Nigeria obtain a police certificate upon their next visit, or enlist the assistance of a friend or relative able to physically visit the Deputy Inspector General. Unavailable. The police record gives all prison sentences, although reliability is questionable. Available. There is no compulsory military service in Nigeria. If military service has been performed, a certificate to that effect can be obtained from an adjutant or company commander of the unit concerned except for veterans of World War II. Veterans of World War II should have a military discharge book. Those who have successfully completed high school must take the West African Examination Council (WAEC) examinations to receive their diplomas or enter a university. The examinations are scored on a scale of 1 to 9, with 1 being the best and 9 the worst. To enter a university, the applicant must have received credit (a score of 1-6) in five subjects. For diploma programs, he or she must have received 3 or 4 credits. Scores of 7 or 8 are only ordinary passes and give no credit. A score of P8 or F9 indicates failing. 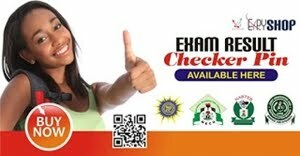 There is a national WAEC office in Lagos where all results can be checked to verify educational level. Note: Since fraudulent documents can be easily obtained in Nigeria, the consular officer may wish to consider referring suspect documents to the Anti-Fraud Unit, U.S. Embassy Lagos, for investigation.